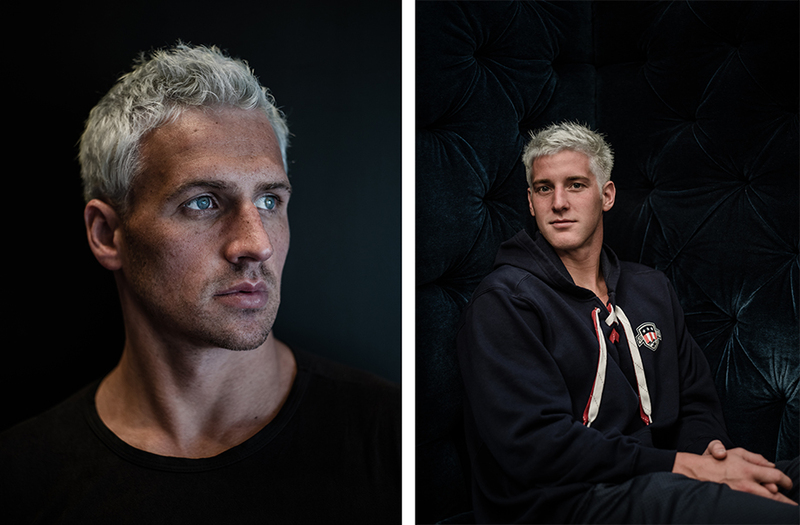 Olympic swimmers Ryan Lochte (left) and Jimmy Feigen show off their new icy blue hair, cut and colored by Atlanta stylist Jenn Jones. It all started with a text message from Nina Dobrev. Hairstylist Jenn Jones, an Atlanta magazine Best of Atlanta winner for her superb color skills, received a text message on Wednesday from the former Vampire Diaries actress saying that she had a friend on the U.S. Men’s Olympic Swim Team who, along with a few teammates, wanted to get his hair done before heading off to Rio. Dobrev sent along an “inspiration” photo of the color the swimmers wanted. “I haven’t really eaten in like two days; I’ve been so excited,” she said. Lochte, an 11-time Olympic medalist, is no stranger to sporting interesting looks at the Games. In 2012, he famously wore an American flag grill while competing in London.